Welcome to St. John Catholic School! As the Premier Catholic School in Carroll County, we are proud to serve families throughout the county, offering Pre-School (3 and 4 year olds) through 8th Grade. We are located on the beautiful multi-acre campus of St. John Roman Catholic Parish in Westminster, Maryland, just off Englar Road and Route 140. Our campus has rolling, grassy meadows and includes the St. John Catholic Church, School, Parish Center, Portico Reception Hall and Rectory. We provide an engaging, nurturing and exemplary education-one child at a time. 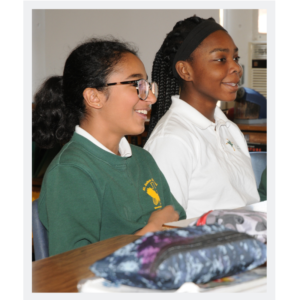 As part of the Baltimore Archdiocesan School System, we are proud to provide a Christ-centered education that is academically excellent and empowers students to reach their full potential –spiritually, intellectually, physically, socially, and morally. 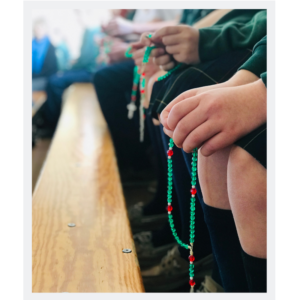 Faith formation is our foundation and is woven into our lives with daily prayer, religion lessons, devotion and weekly celebration of the Eucharist at our Weekly Children’s Mass. 1:1 Chromebooks for all students in grades 5 through 8. 1:1 Ipads for all students in grades 3 and 4. Choose from a variety of Academic, Sports, Music and Arts extra-curricular activities. We invite you to learn more about us, our dedicated faculty and staff, and to personally experience the “St. John Difference.” To learn more about us, please fill out the inquiry form below. To schedule your private tour, attend an open house or schedule a student shadow day, contact Dianne Wrobel, Advancement Director. 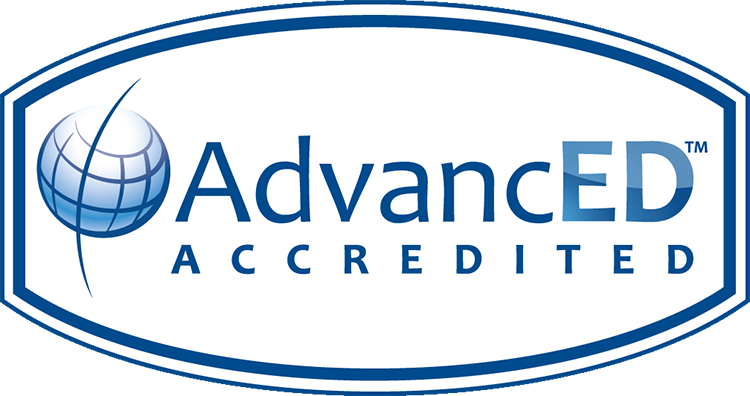 St. John Catholic School is accredited by the Middle State Association of Colleges and Schools. 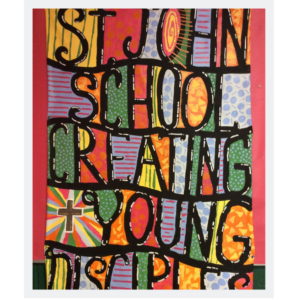 St. John Catholic School proudly serves families with students in grades PreK-3 through 8th. We are more than a school, we are a family, working together to grow closer to God on our path to discipleship. Our 21st Century curriculum standards prepare the students for success in our ever-changing world. We integrate the latest technology with kinesthetic, hands-on learning and encourage our students to collaborate, problem-solve and design as we form successful learners, poised for future success. 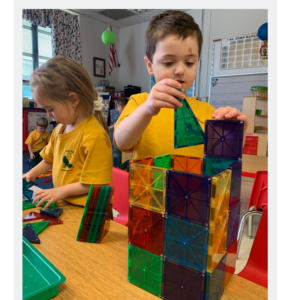 To learn more about our curriculum, nurturing environment, and the administration at the school please visit our At a Glance Page. 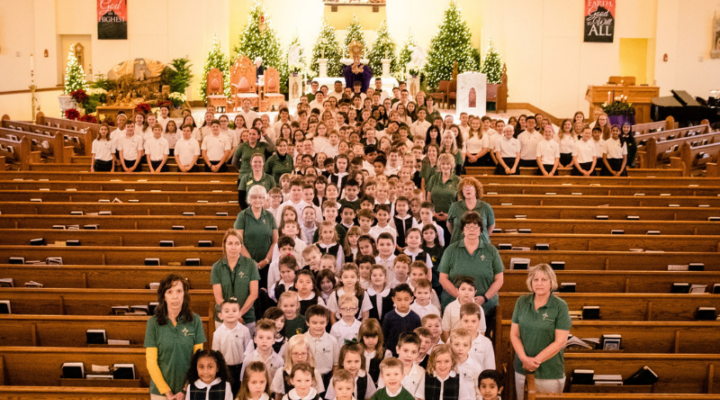 For over 150 years, St. John Catholic School has provided an exemplary, child-centric, Catholic Education for students in Westminster and the surrounding community. Our Principal, Jo Marie Tolj, shares our mission and vision with you in our Letter from School Leadership.